Flying Horse Books #1 is called ON A WING AND A DARE. Flying Horse Books #2 (due out March 2013) is called IN THE WINDS OF DANGER. 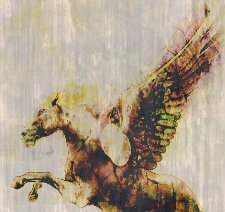 Flying Horse Books #3 is still in the planning stages, but it needs a working title. Post your title below in a comment, one title per comment. If you can’t think of a title on your own, please reply to title comments and let me know which one you like! Ultimate decision is up to me, of course! Contest will remain open until March 15, 2013. Start thinking! Great title. Hmmmm zombie flying horses? both ‘death’ and ‘dead’ are a little depressing. Would YOU read that book??? Great efforts, all! Keep trying…..
With wings and love there is more to come. P.S. this kind of sounds like poetry. Great ideas, Dewey, you’ve really been thinking!